Put 12 cookies on the sheet and place in the freezer for at least 25 minutes. Unwrap the kisses and put in a microwave safe bowl. 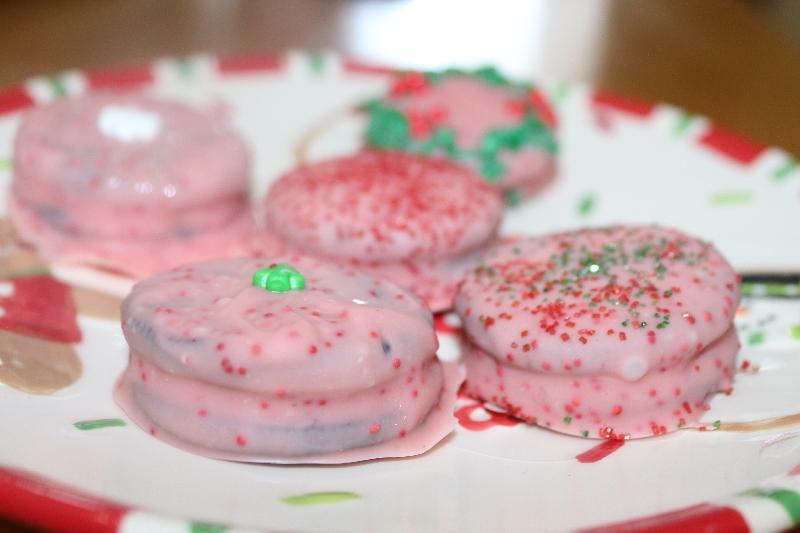 Melt the kisses by microwaving for 30 seconds and stirring. Repeat until melted and smooth. Add the conf. sugar and stil until well mixed. 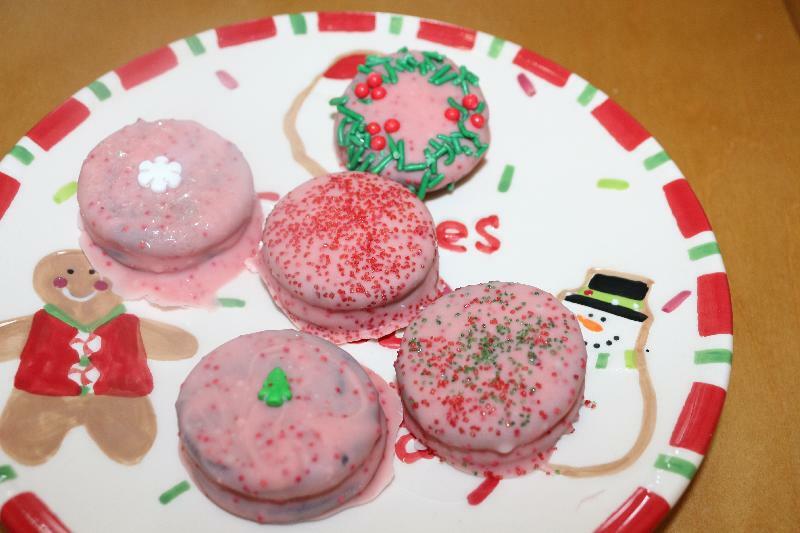 Use a fork to dip the cookies into the melted candy and flip to insure they are completed covered. Shake off the excess and put back on the paper. Decorate the top with a decoration. Return the cookies to the fridge for 30 minutes.